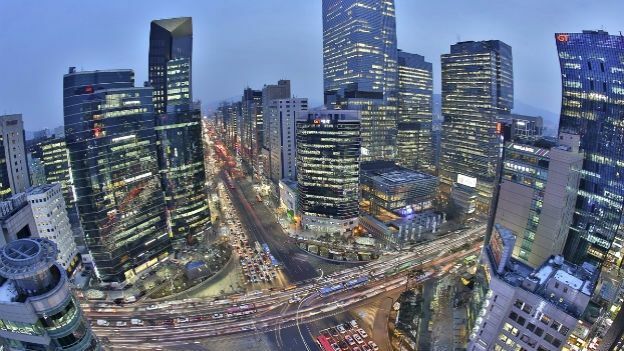 South Korea's science ministry has announced it will be sinking 1.6 trillion won ($1.5bn or £900m) into the plan by investing in local firms connected to the service. The new "5G" network will allow users to download 800MB movies in one second, compared to 40 seconds on Korea's current 4G network - already the fastest in the world. South Korea's position as the global leader in super-fast internet connections is hardly under threat as more than 78% of the population of 50 million use smartphones. According to the Guardian, the project is expected to generate 331 trillion won in 5G-related mobile devices and infrastructure between 2020 and 2026. The 5G service is due to be tested on social networking services as early as next year before expanding to include 3D images and cloud services in 2017, the ministry said. The full range of services will be tested at the Winter Olympics in PyeongChang in 2018.